Tan Family Chronicles: MegaBugs is buggerific! The whole idea behind this MegaBugs exhibition is that they took the world of the buys and enlarged it so much that you feel like those kids in the Honey, I Shrunk the Kids! movie! 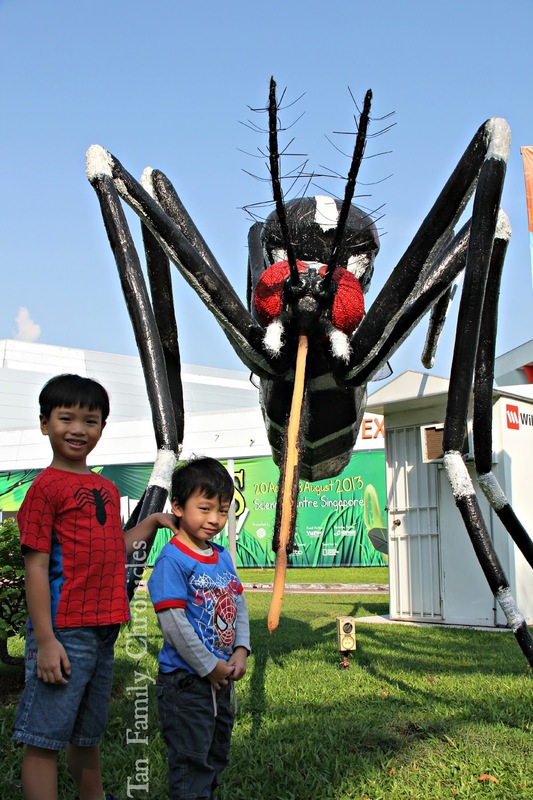 The bugs have been done so well, so realistic looking, that I'm sure those army pilots who fly past Science Centre in the sky would have gotten a shock of their lives had they looked down and saw the gigantic bugs in the carpark of the Science Centre! This is one exhibition I really enjoyed very much. 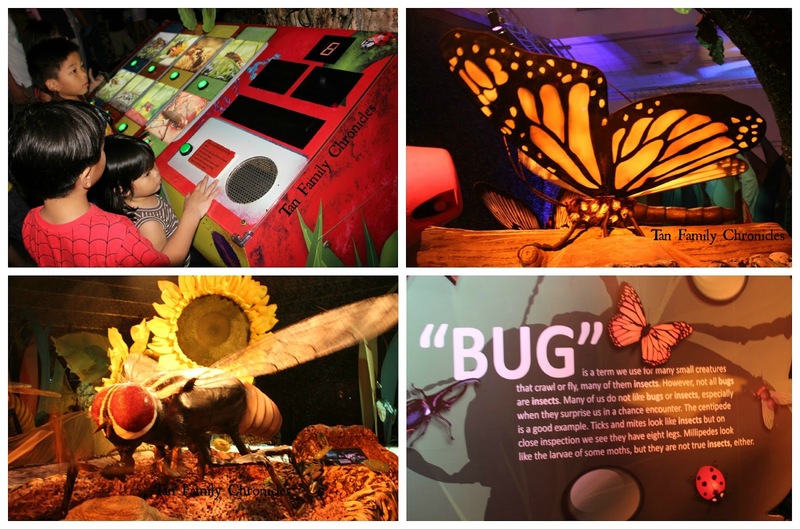 The bugs were realistically made, and they even put in some electronics to make some of its limbs move. Seriously cool. The kids enjoyed it too! Do you know, we didn't just go MegaBugs once, we went twice! And the kids are still asking us to go again! Surprisingly, it was Asher and Shawna who kept requesting to go back to MegaBugs. I thought 6 year old Isaac would have been more interested in this than the 3 and a half year old twins. Huge models aside (and there were so many! 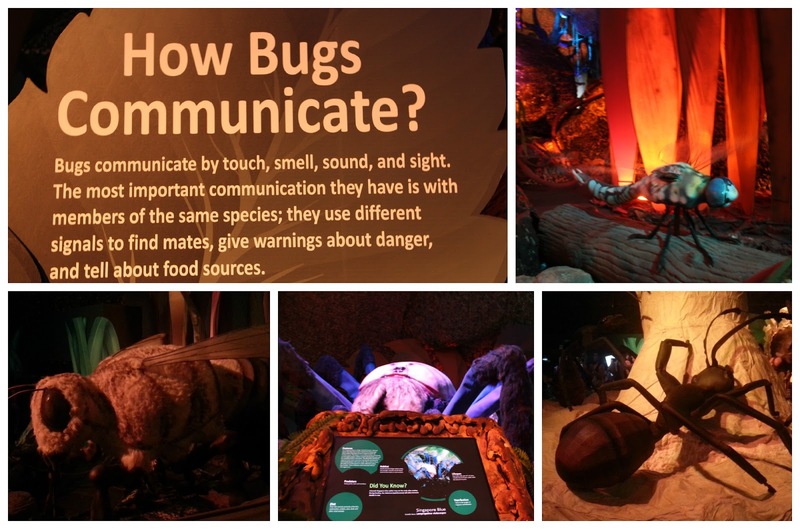 ), most exhibits came with a info board that gave more info on the gargantuan bug we were looking at. There were also mega-infoboards with all sorts of interesting info and trivia on bugs. This red console below is an activity counter where you can hear the sound of a bug, and try to guess which bug made that sound. 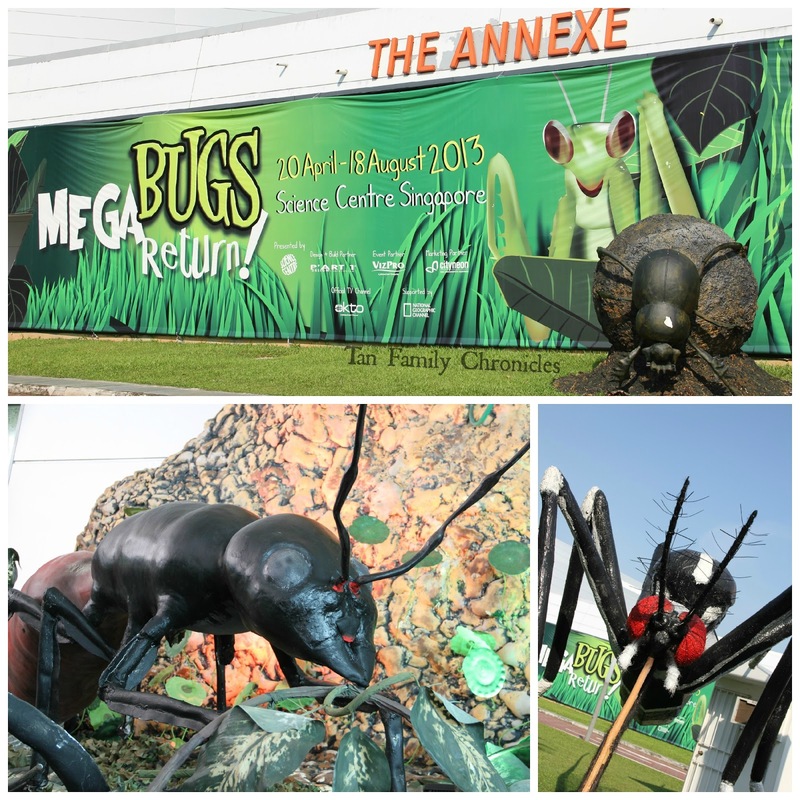 Oh and if you have the time and energy, do shell out a few more bucks to catch the 3D film of "Bugs 3D - A Rainforest Adventure" that is screened in Annex Hall 1 of the Science Centre. It was very interesting, like seeing an episode of National Geographic on bugs, in 3D on the big screen. Now, Isaac really liked that one. Note: We were invited by P'Art 1 Design and the Singapore Science Centre to the exhibition on separate occasions. Both times which we enjoyed thoroughly :) Opinions expressed above are entirely our own! Fun is a good thing but when you mix it up with great spaces for learning, it is even better! :) This is a good move you did for your kids and family! It's like two benefits in one!